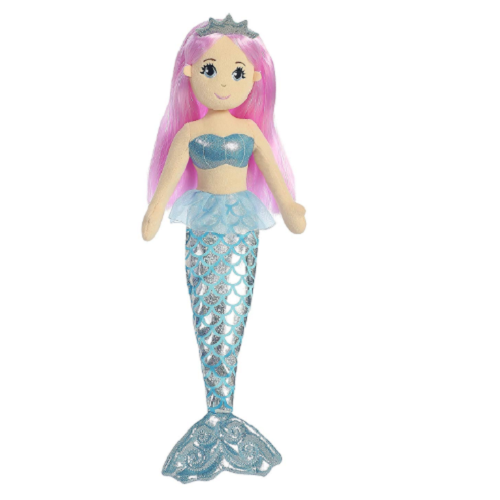 Aurora World Sea Sparkles Crystal Mermaid Plush Just $10.74!! Isn’t she the sweetest?!? Head over to Amazon and get this Aurora World Sea Sparkles Crystal Mermaid Plush for Just $10.74! (Reg. $17). Aurora World’s Mermaid Dolls have beautifully embroidered facial features and long, combable doll hair. They are part of the Sea Sparkles collection and feature multi-colored shimmer and sparkle fabrics. Top quality materials are used to ensure durability and softness. Aurora World is an industry leader with over 30 years of experience designing and manufacturing innovative, high quality plush products.